Roof of any establishment goes through usual wear and tear with the passage of time. Isolation layers, surface coverings, joints, drainage outlets and roof coating are some of the key aspects. Either one or more than one area may need repair for some reasons. South Bend Roof Repairs has a wide range of solutions for damages caused by rain, fire, storm, wind and others. Our trained experts have been delivering high quality roof repair services for a very long time. At reasonable rates, they ensure top notch care and first class workmanship. South Bend Roof Repairs has experts to deal with all kinds of roof repair works. Leaks, chimneys, guttering, radiators, boilers and many more issues can be resolved with our professional help. Our skilled and professional team takes the extra care to ensure customer satisfaction on completion. Have the peace of mind knowing that you’re only investing in quality and experienced roof repair services. 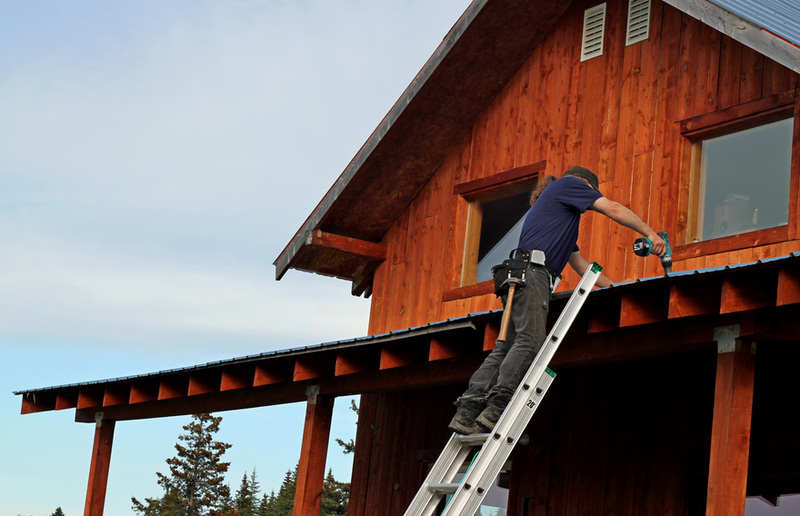 We have set high standards with our level of service and reliability in roof repair and maintenance. South Bend Roof Repairs can handle all kinds of roof support needs. Our experts conduct a thorough roof assessment to detect the problem areas which require immediate care and attention. All the findings are recorded on a detailed report after a complete roof examination. Ultimately, the roof will be restored to acceptable standards post the repair and maintenance work. Apart from protecting the entire building, it also increases the resale value of the property in future by safeguarding the valuables. With a comprehensive maintenance, the life of the roof can be extended delaying the undesirable roof replacement tasks. We’ll make sure the problems are avoided and taken care of by preventing small issues from growing into larger ones. We understand that roof is one of the most valuable assets of your property. Post inspection and complete restoration, we also conduct an assessment after a period of time to ensure maximum roof performance. Each of our experts is well trained to adhere to the essential safety standards prior to starting work on a commercial or residential project. Ventilation is one of the key aspects of any roof system. Our professionals make sure the work done on your roof leads to increase in air flow and guarantee energy efficiency. We are certified and licensed roof repair service providers and work on regular basis with all kinds of clients. You can give us a call as per your convenience and our technicians will respond and act quickly without any delay. We combine our expertise, experience and quality materials to deliver the best possible roof repair solution. We request you to think about long term solution and not short term fixtures when it comes to your roof. For any roof problem which persists for longer than normalcy, we’ll respond to your needs. Helping our customers is our top priority and we’ve formed long lasting relationships based on honesty, trust and respect. Free one to one consultation and advice is also provided based on requirements.